but, I sold the sign. Hooray, I love when I sell things, but that meant there was a vacant place that needed to be filled. 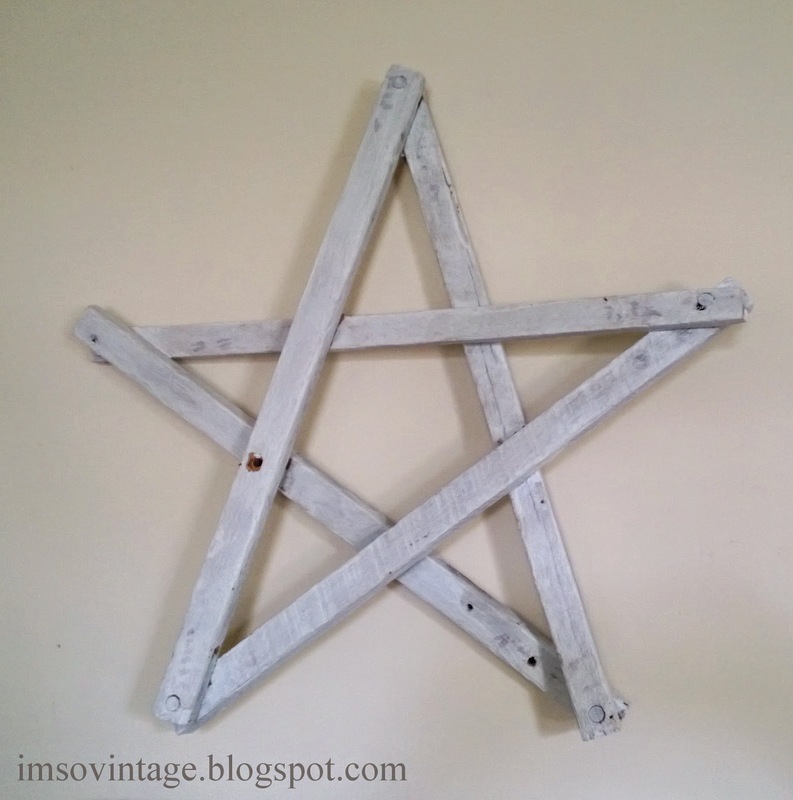 I had this great white star made from tobacco sticks hanging over my bed. but, (lots of buts happening) I didn't have anything else I wanted to replace it with. Then I found something I loved at an auction, which I'll share at another time. 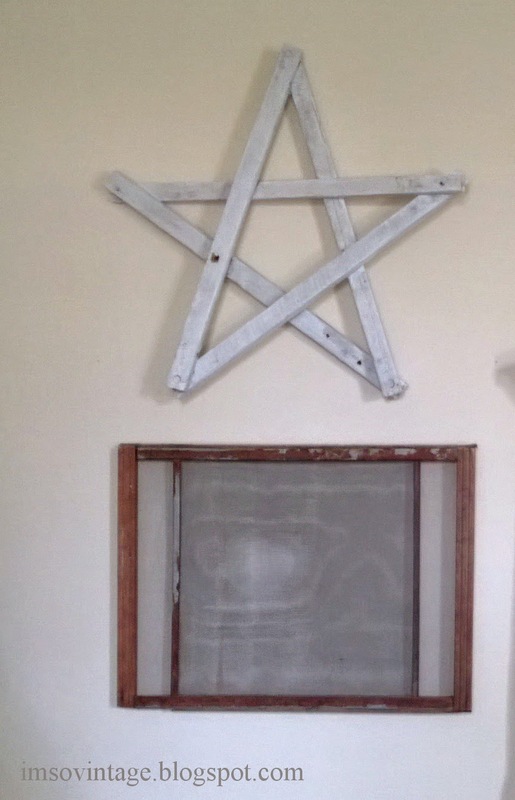 So, up went the star over the old screen. but (there's another but) then I found something last week at the auction that I fell in love with. I originally planned to sell it, but I decided I didn't want to part with it for now. 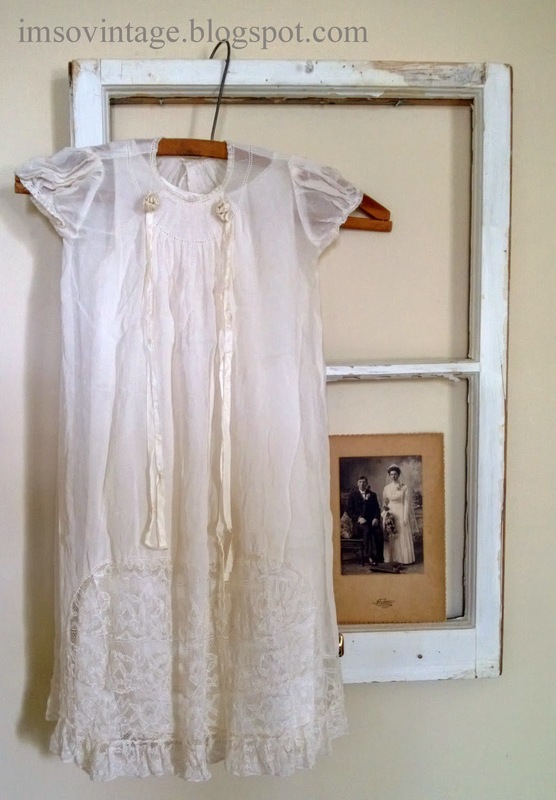 It's a beautiful vintage organza and lace christening gown with a satin slip. 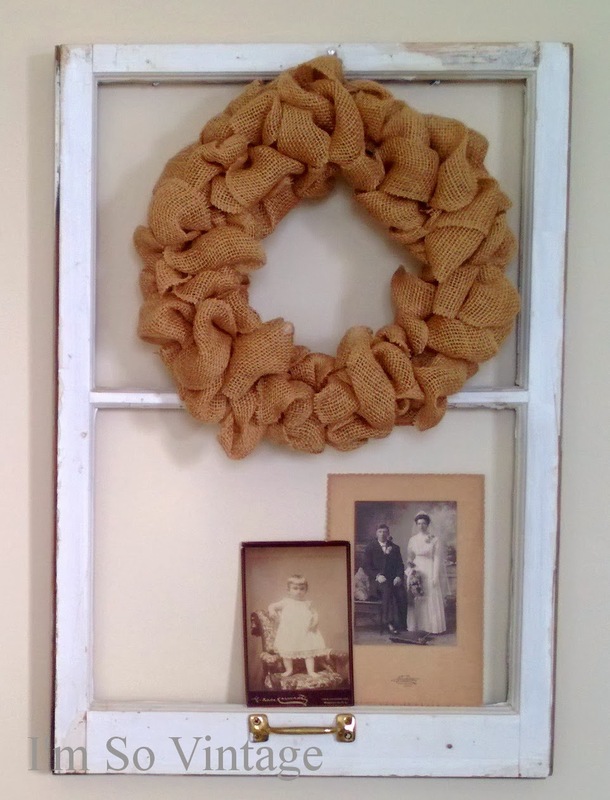 I love it with the primitive window frame and antique wedding photo. So now I have an update to the wall, that I'm happy with for now. Now all I have to do is find the energy for the rest of the room. That's pretty. I have the same problem - I buy stuff and think I'll sell it and then end up keeping it. What is wrong with me? 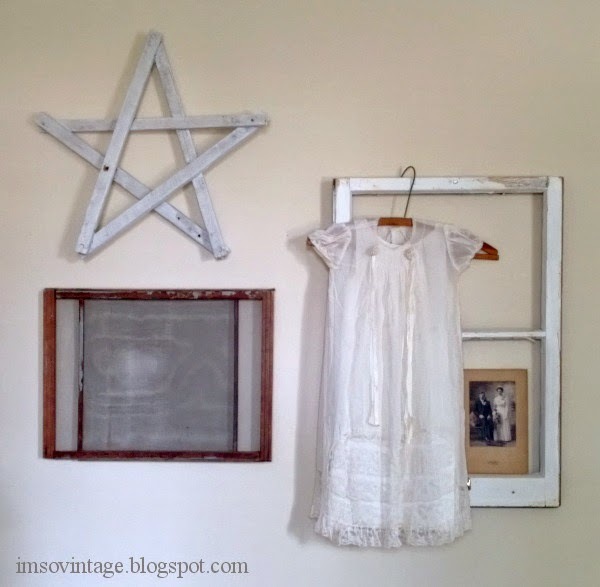 Love the star and the new christening gown. So nice. I like the new look, Laura. I'm glad you are keeping the gown to enjoy for yourself too. Thanks. It is in wonderful condition! That's such a pretty wall arrangement! Loved the street sign that you sold. I have that same wooden star too. It's in storage right now, but I will probably bring it out again in the future. My younger sister tries to steal that star from me when she comes to visit from Arizona. I have to keep an eye on her sticky fingers. LOL! It is all beautiful! 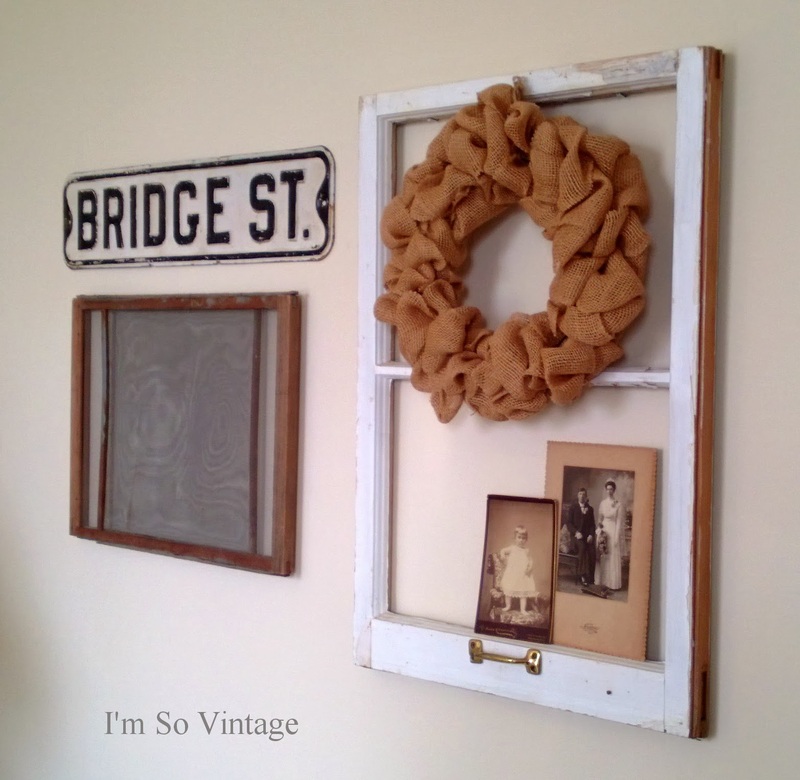 I love vintage things and wish they could talk and tell us their story. Laura it looks so pretty! I'm ready to do some Fall decorating this week! A beautiful arrangement. You really have the touch!